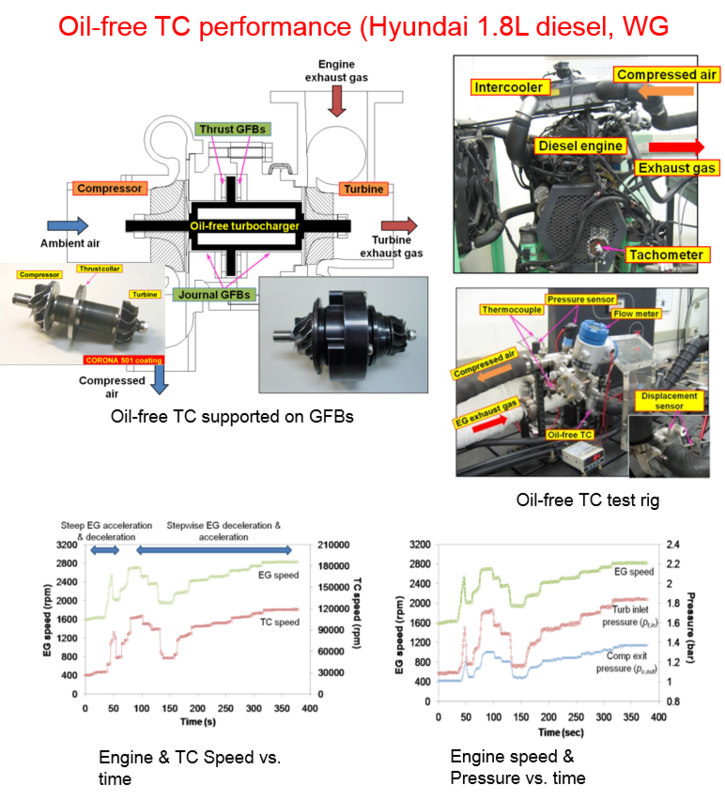 Passenger vehicle turbochargers (TCs) improve the fuel efficiency and power output of internal combustion engines by recycling heat energy from the exhaust gas and supplying an additional charge of air into the engine. The test results on the oil-free TC supported on GFBs showed minimal influence of the external shocks on the TC operations, even in the rotor–GFB system natural frequency range, which ensures the applicability of the oil-free TC to passenger vehicles. However, the importance of the thrust load balance between the turbine and compressor should be noted for high speed operations. - Oil-free turbocharger test rig.